Is the Bible infallible? Can we believe in its inspiration and practice biblical criticism? How is the Bible to be interpreted for today? 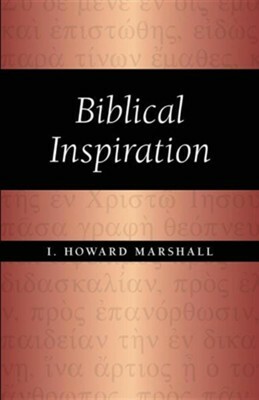 I. Howard Marshall's answers to these questions will be helpful to all biblical students who are puzzled and confused by current discussions of biblical inspiration and authority. Biblical Inspiration will help to reassure conservative students regarding the value of critical study of the Bible, and will clear away much misunderstanding that the conservative view of the Bible is obscurantist and unscholarly. I'm the author/artist and I want to review Biblical Inspiration.